ONE OWNER JEEP !! - REGULAR OIL CHANGES !! - PERFECT CARFAX REPORT !! - LIMITED !! 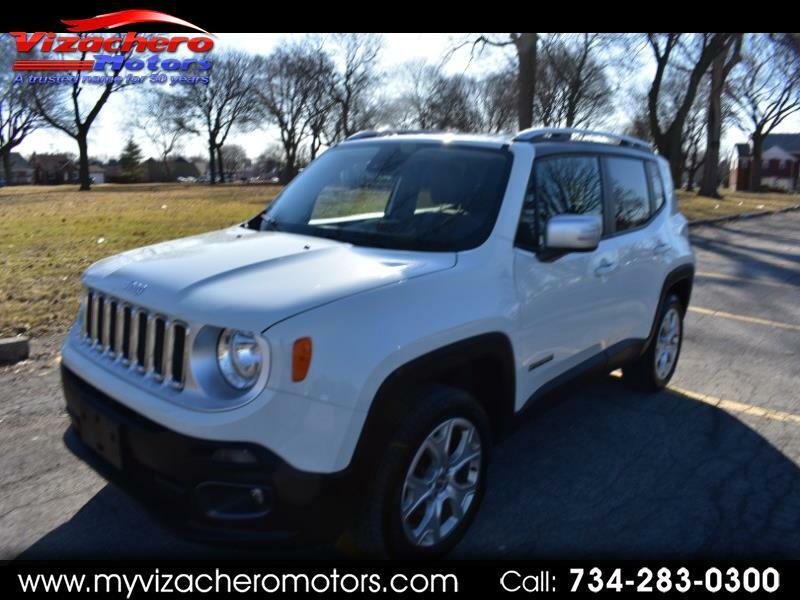 - 4X4 - ABSOLUTELY LIKE NEW JEEP INSIDE & OUT - LOOKS NEW, RIDES & DRIVES LIKE NEW !! - THE RIGHT JEEP !! - A MUST SEE AND DRIVE - NAVIGATION - HEATED STEERING WHEEL - POWER SEATING - HEATED SEATS - AM FM SIRIUS CD TOUCH SCREEN STEREO - WEATHER GUARD FLOOR MATTS - FULL SIZE SPARE - POWER WINDOWS - POWER DOOR LOCKS - POWER MIRRORS - DUAL A/C & HEAT - BACK UP CAMERA - ONE OWNER - CARFAX GOLD AWARD FOR REGULAR OIL CHANGES - & MORE !!!!! - ABSOLUTELY BEAUTIFUL JEEP !! - A MUST SEE AND DRIVE - - WE ALSO OFFER GUARANTEED CREDIT APPROVAL FOR ALL!! - PLEASE BUY WITH CONFIDENCE...OVER 58 YEARS OF AUTOMOTIVE SALES AND SERVICE...OVER 6000 VEHICLES SOLD !!! - HOPE TO SEE YOU SOON!!! !